On Friday, September 23, 2016 the Sacramento Police Department will conduct a sobriety and driver license checkpoint. Officers will be looking for signs of alcohol and/or drug impairment with officers checking drivers for proper licensing; delaying motorists only momentarily. The checkpoint will be conducted on Power Inn Road near Elder Creek Road. It will begin at 7:30 p.m. and run for five to seven hours. When possible, specially trained officers will be available to evaluate those suspected of drug-impaired driving, which now accounts for a growing number of impaired driving crashes. Drugs which may impair driving not only include illegal narcotics, but many prescription drugs, marijuana, and even some over-the-counter medications. 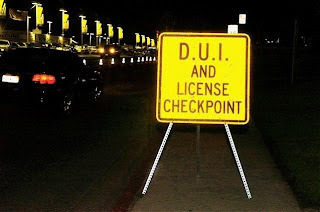 Funding for this checkpoint is provided to the Sacramento Police Department by a grant from the California Office of Traffic Safety, through the National Highway Traffic Safety Administration, reminding everyone to ‘Report Drunk Drivers – Call 9-1-1’. Please direct any inquiries to Sergeant Chris Prince via email at cprince@pd.cityofsacramento.org or by telephone at (916) 808-6069. No Comment to " Sacramento Police to Conduct Frday Night DUI, Driver License Checkpoint "